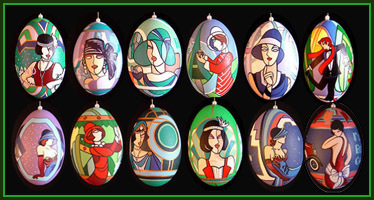 These designs were Art Deco inspired because I was living in Belgium. Emu eggs are naturally dark green. Some people etch them to use the sky blue layer and the deeper white layer in the design. I left the natural green on the ninth egg.